It's just what we wanted and looks great! The stove is wonderful - although one bottle of fuel doesn't last as long as we hoped. One criticism: The directions are sparse when they describe mounting the bracket that holds the fireplace. We could have used more detail about where the bracket mounted in relation to the fireplace top edge; in consequence, the fireplace is a little lower than we really wanted it. We had been looking for a fireplace that we could mount on the wall of our new sun room and when we saw this one on Grommet's email notice that we receive daily we knew that this one would fit right in the spot on our wall. There were other ones but they were either too large or you had to plug them in to an electrical outlet. Get lots of complements about it and it's very cozy sitting there in the evening. We love our fireplace, it is actually amazing how much heat it throws off too!! We highly recommend this product. My husband and I purchased the Chelsea fireplace. Highly recommend these products. Loving, loving, loving my new fireplace at the end of my bathtub! Awwww...beautiful flame, great warmth and the ambience...well I don't want to get out of the tub! 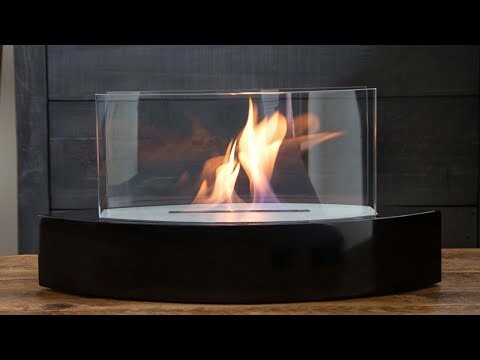 Thank for this beautiful, simple, effective fireplace! Couldn’t wait for fireplace for our condo. Took it out of box and thee was a dent in the top corner. There were holes for six screws but only 3 were in and two of the three were mangled. So nice the fireplace would have fire against a wall I couldn’t feel comfortable putting it up. Sent it back two weeks ago but havenMt received refund. Really sad for us. You never hear about folks curling up beside the radiator or gathering ‘round the space heater. It takes firelight to create ambiance like that. But obviously, not every home has a fireplace. That’s where Anywhere Fireplace, which was founded by Madi Ferencz and her son Peter de Voogd, comes in. 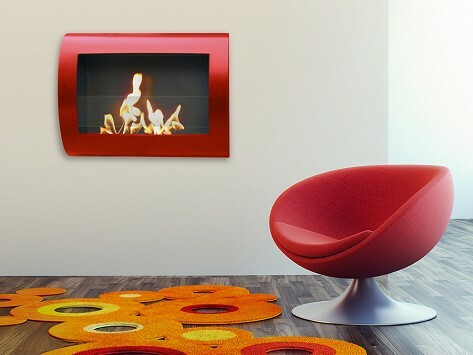 With this self-contained unit, you don’t need a chimney or vent to enjoy a warm fire. There’s no gas or electric hookup required either. The tabletop models include the Lexington, with its high-gloss paint finish; the Metropolitan, which pairs tempered glass and brushed stainless steel; and the Empire, a dramatic stainless-steel form with polished stones surrounding the flame. Most models burn bio-ethanol fuel, which is made from renewable plant resources and doesn’t give off any smoke, gas, soot, or ash. (One liter of fuel will burn for about 5 hours.) The Empire and Oasis models use a Gel Fuel that imitates the sound of a crackling fire (one can burns for up to 2.5 hours).